Publicado por Tobías Feijoo 18.4.07 12:02 p. m.
2 a : something that is falsely or delusively believed or propagated b : a persistent false psychotic belief regarding the self or persons or objects outside the self that is maintained despite indisputable evidence to the contrary; also : the abnormal state marked by such beliefs. 1 : to mislead the mind or judgment of; deceive. 4 : to cause to accept as true or valid what is false or invalid. 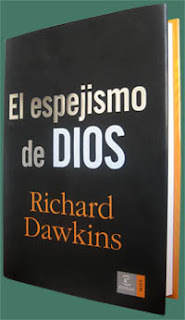 Pero lo importante es que el libro ya está disponible y me lo voy a leer ya mismo.